Deal Or No Deal is the hit game where you need nerves of steel and a little luck to beat the Banker. 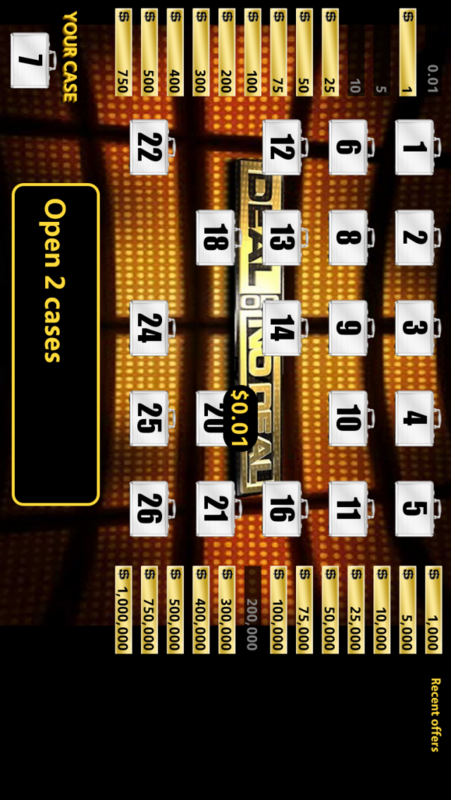 Pick your case, and find out if you'll win the $1,000,000 by opening the other cases. No trivia, no stunts. Can you make the right deal? Test your skills now.